It is a rich pastry made of layers of filo pastry filled with chopped nuts and sweetened with syrup or honey. 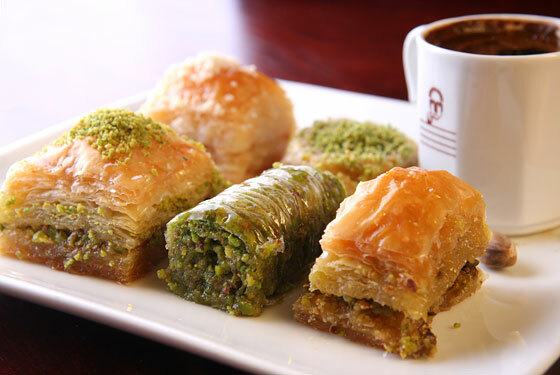 It is the characteristics of the cuisine of the former Ottoman Empire and much of the central and southwest Asia. Is a signature tea of the Corlulu Ali Pasha Madrasah which consists of fresh mint, fresh lemon, hibiscus, cinnamon and sugar in hot water. Is Turkish black tea and is the drink of Turkey! 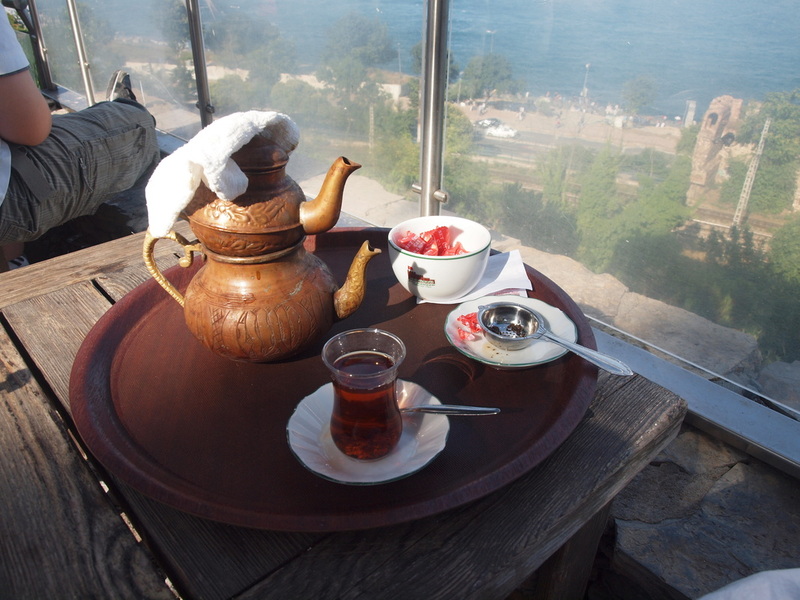 Turkish people drink black tea which is crimson in colour from morning, noon to night. Served in a tulip shaped glass with sugar on the side. Traditional line dance of Southeastern and Eastern Turkey whereby people hold hands and dance in unison to traditional music. Is a dessert which is crumbly and usually made from tahini (sesame paste) or other nut butters, such as sunflower seed butter. The primary ingredients are nut and sugar. Halva may also be based on numerous other ingredients. Is Turkish word for 'restaurant'. Are religious schools which were built in the Ottoman times (from 13th - 19th century). After World War 1 the schools were closed and converted to cafes, shops and meeting places for locals. 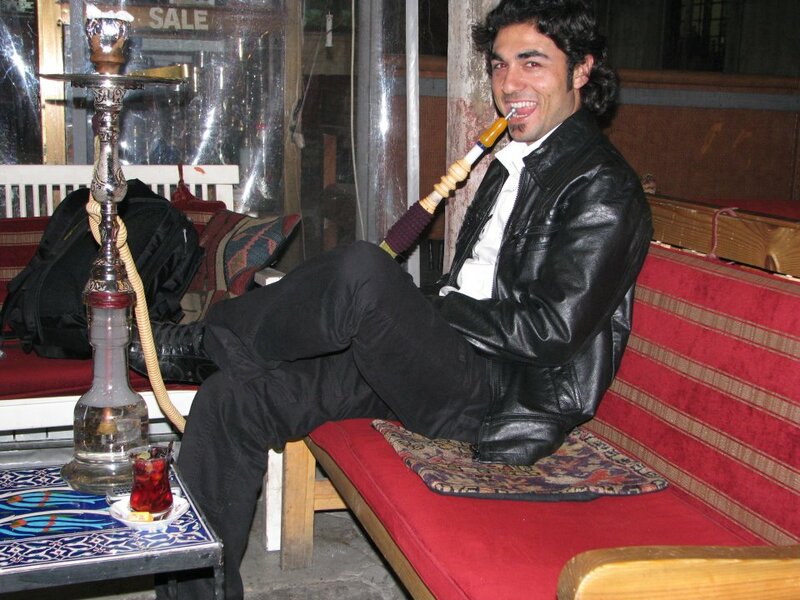 Often referred to as waterpipe, hookah, hubble bubble or sheisha, the nargile is a smoking pipe for fruity tobacco where smoke is passed through a water basin (often glass based) before inhalation. It is popular amongst the locals as it brings together friends and family for socialising. Is a liquorish flavoured alcoholic spirit. Be sure to mix it with water and ice. Is a warm beverage served in winter consisting of the mountain orchid, milk, starch and cinnamon. Is an intense coffee of finely powdered roast coffee beans which are boiled in a pot with water and sugar. Served in a small cup.